The Blas Herrera Ranch is a rich example of the agricultural heritage that is endangered of being lost in Central Texas and across the state. Originally 800 acres, the Blas Herrera Ranch has been in the Ruiz-Herrera family since the late 18th century. The ranch currently encompasses 30 acres and its built resources reflect the age and evolution of the property and the knowledge of local materials and native building techniques. Many of the buildings, including two jacales, are small, fragile, difficult to maintain, expensive to restore, with limited opportunities for adaptive use. The opportunity exists to build upon the strong foundation of work undertaken by the San Antonio Conservation Society over the past five years. 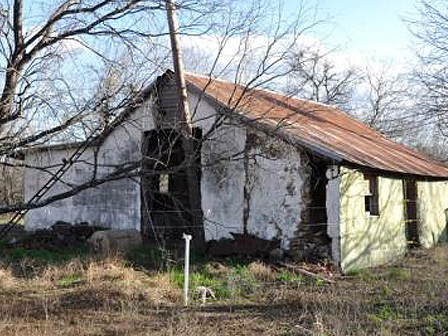 Their efforts to identify historic farm and ranch properties being threatened by suburban expansion and development serve as a model for other Texas communities struggling to preserve agricultural heritage. Urban encroachment and large-scale development will continue to threaten historic places like Blas Herrera Ranch. Providing assistance to owners and identifying existing resources is a critical step to raise awareness of a time when Bexar County was not home to the seventh-largest city in the nation, but was instead home to hundreds of farmers and ranchers.